Pastors Anthony and Angelia Zollicoffer are a match made in heaven. They started in the ministry 15 years ago and have been an inspiration to many during this time. They travel from their home in Raleigh, NC to Greensboro, NC two to three times a week (an hour and a half trip, one way), to an eager congregation who can't wait for them to arrive. The Zollicoffers believe in promoting relevant christian experiences for those who worship at "Next Level Christian Church." By design, the youth are a vital part of the programing... with a female dance ministry and male mime ministry. The church has a weekly food program that provides food for any member who needs it or who would like to share the food with someone else who may need it. 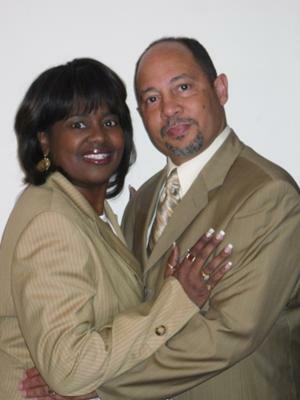 Pastors Anthony and Angelia are passionate about their ministry. They believe in meeting a person at their point of need and nurturing them to the point of restoration. The message they bring, is simple, full of illustrations and demonstrations, so it can be understood by all. A true man and woman of God, this couple has as their mission to: "Create a Community of Hope" and it begins at Next Level Christian Church in Greensboro, North Carolina. By the way, because I love the pastors and this church so much, I also travel from Raleigh to Greensboro two to three times each week.